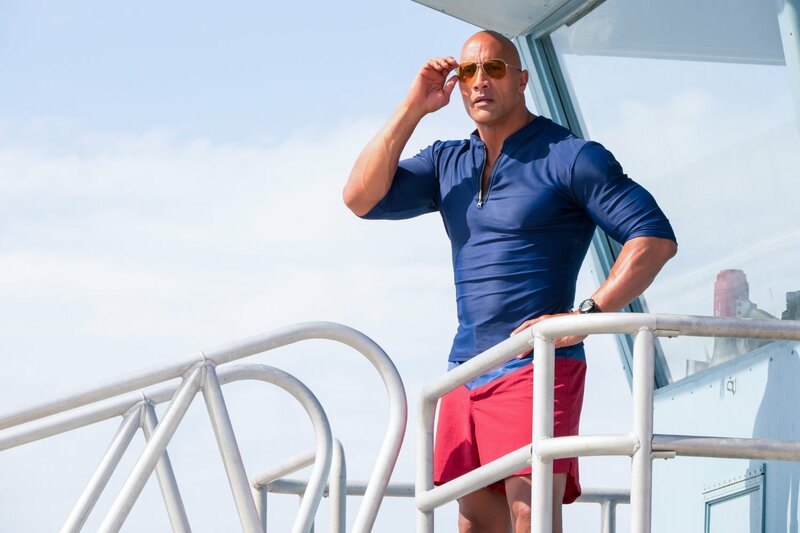 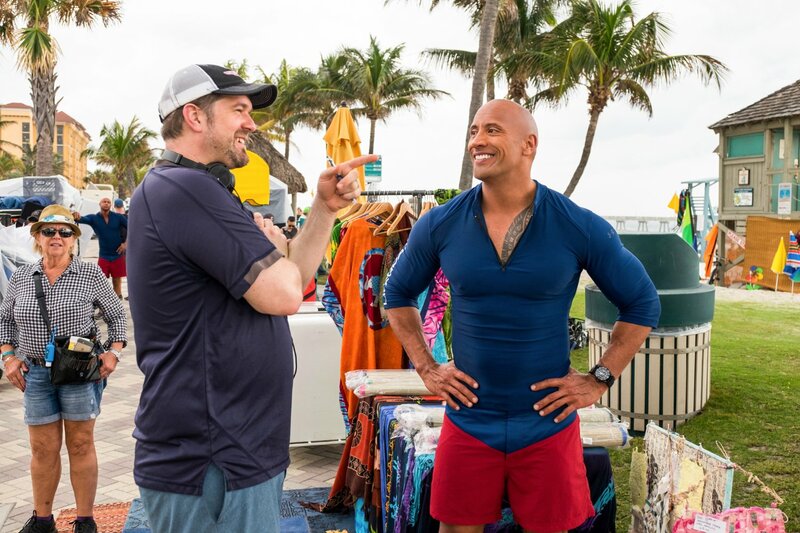 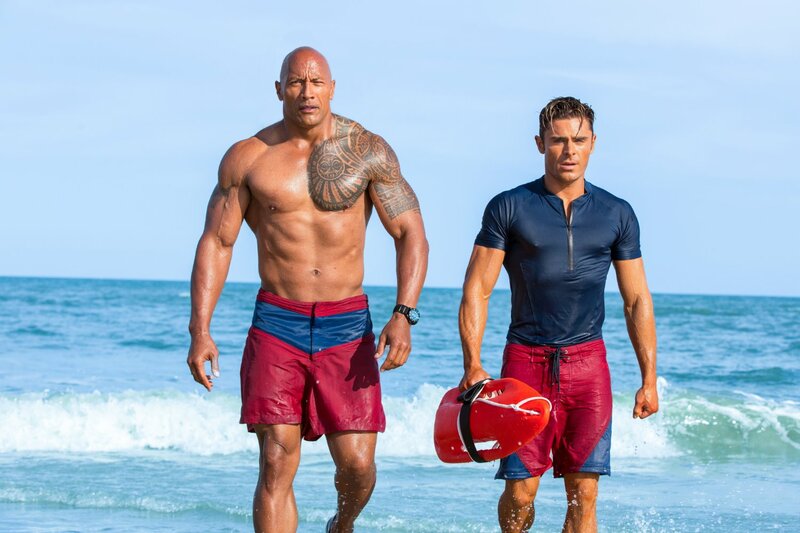 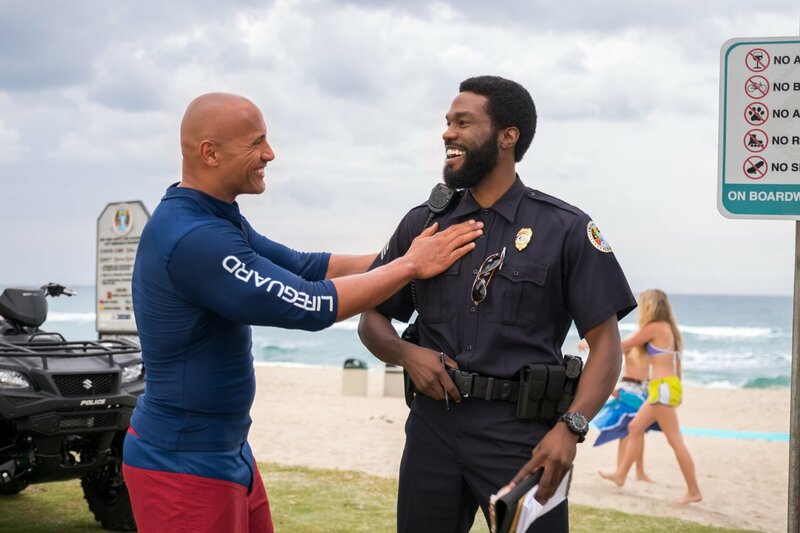 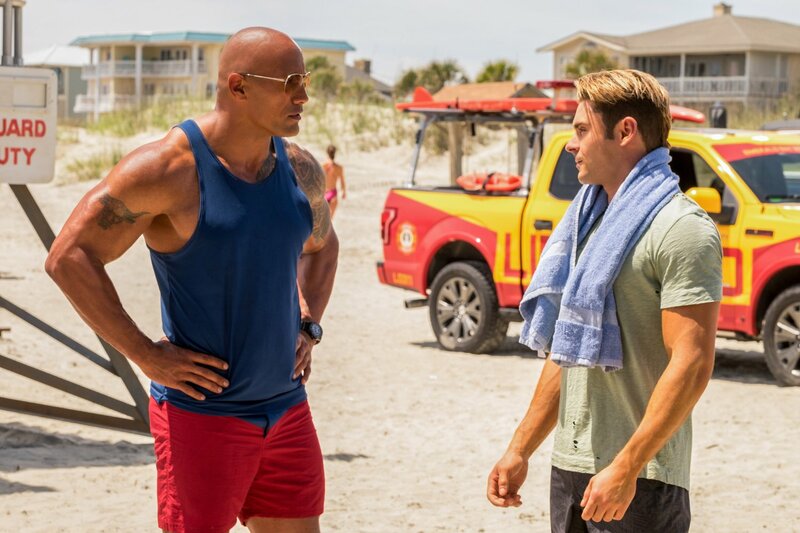 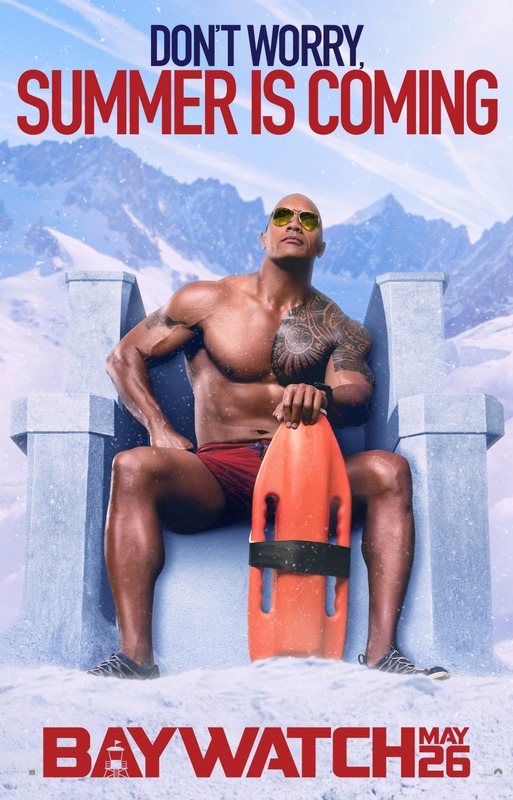 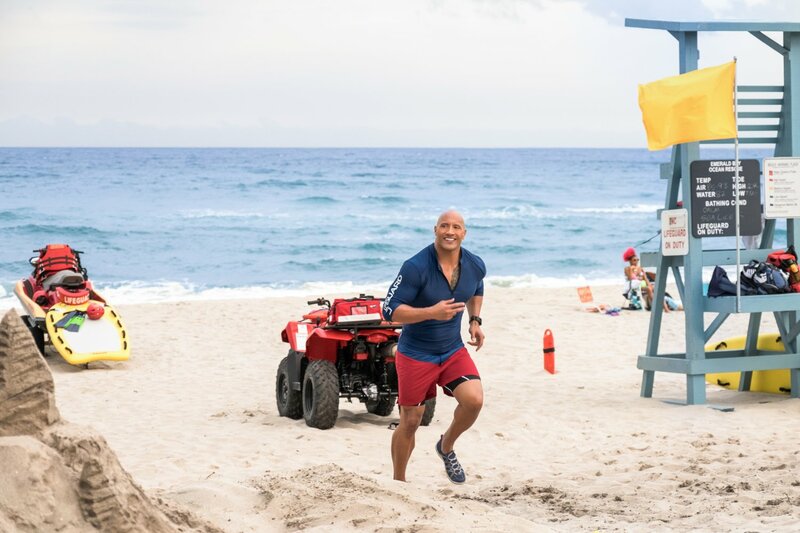 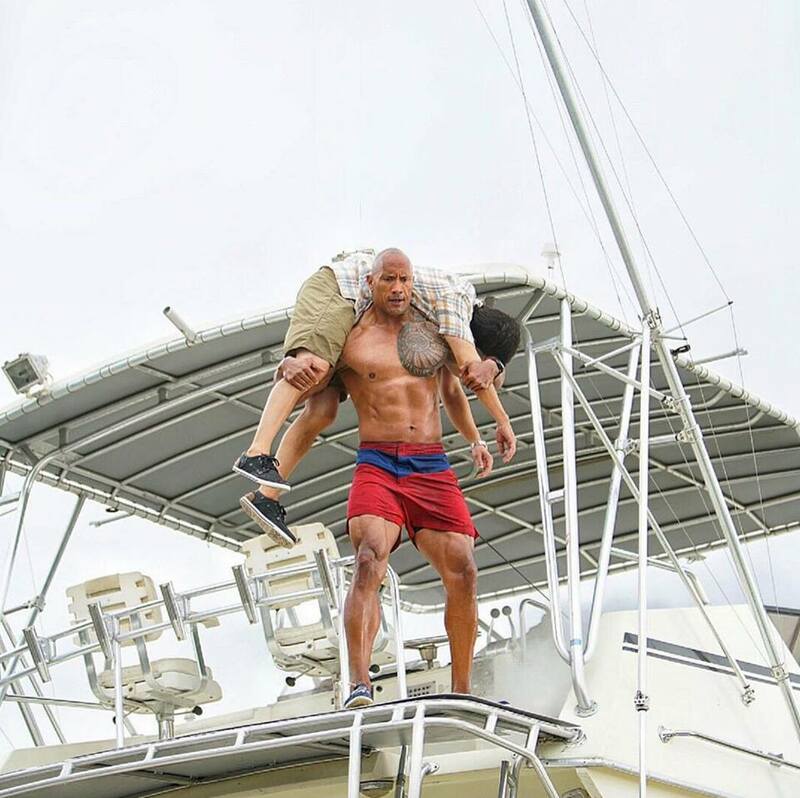 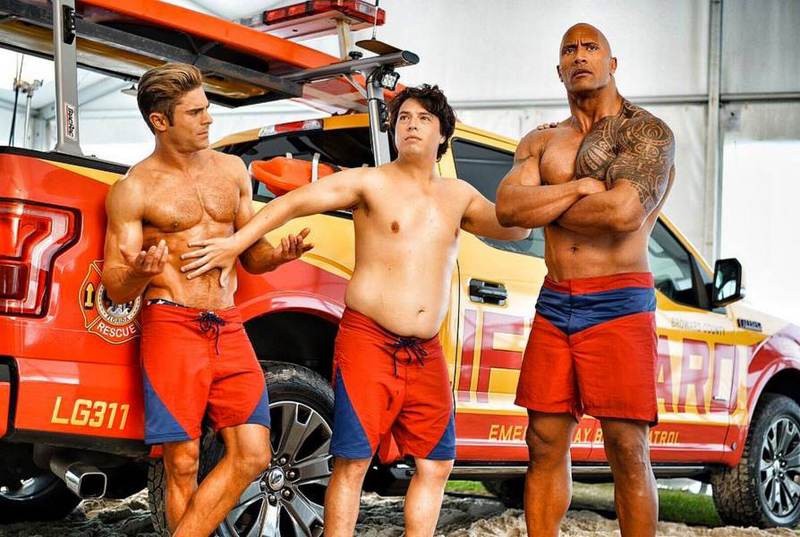 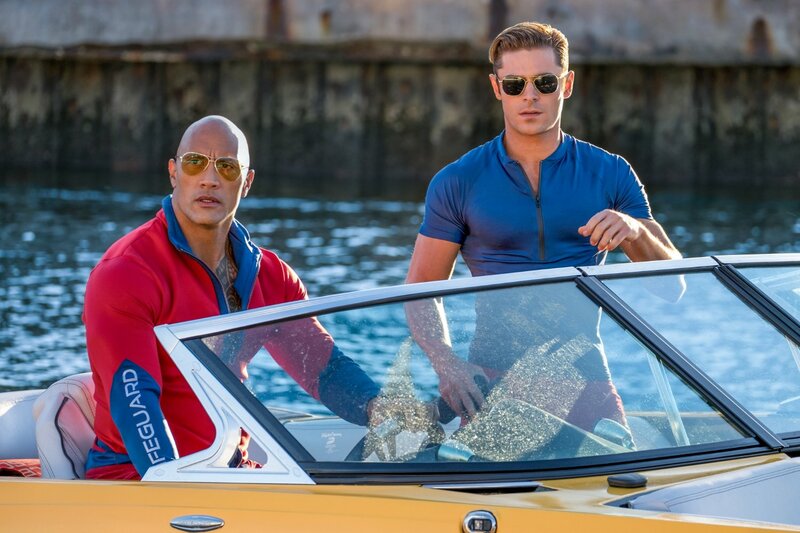 The 2017 R-rated "Baywatch" reboot directed by Seth Gordon ("Horrible Bosses") follows the adventures of Lt. Mitch Buchanan (Dwayne Johnson), a devoted Florida lifeguard, who must find a way to get along with Matt Brody (Zac Efron), a brash recruit and former Olympic swimmer, as a local criminal conspiracy threatens the future of the Bay. 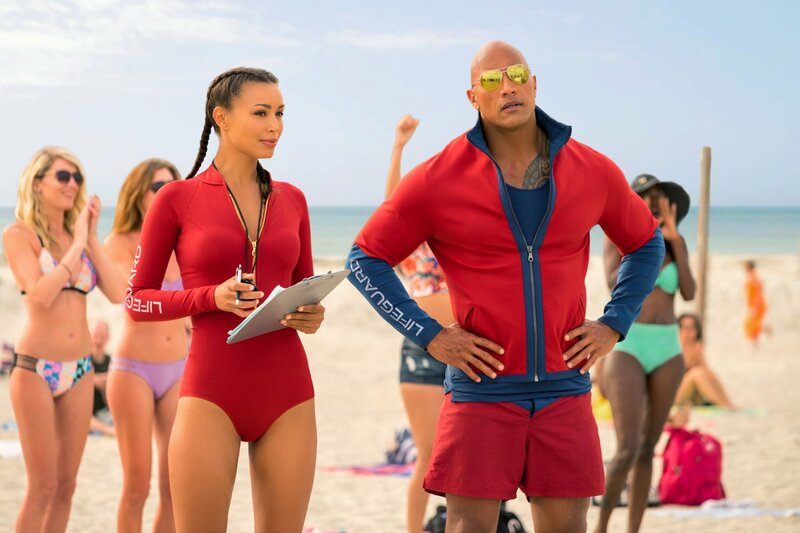 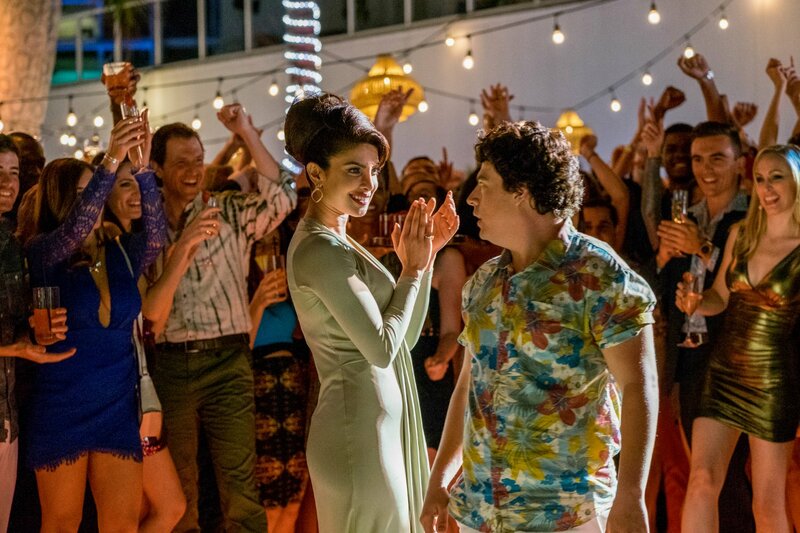 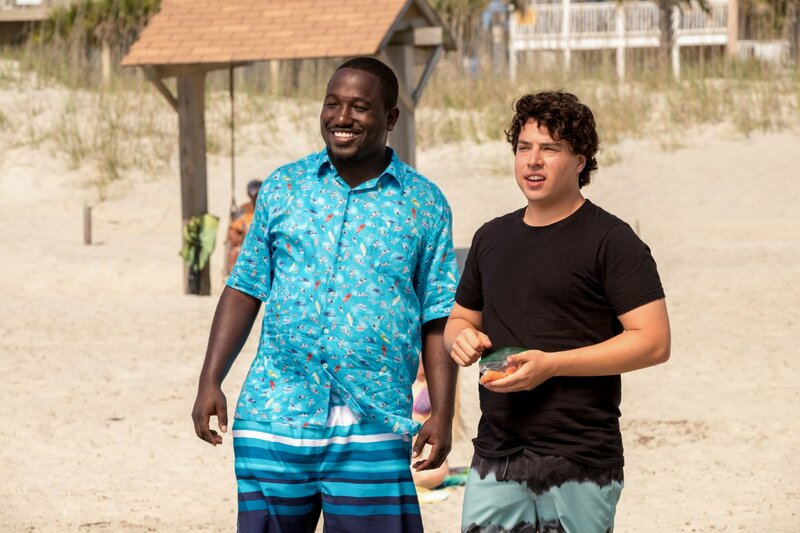 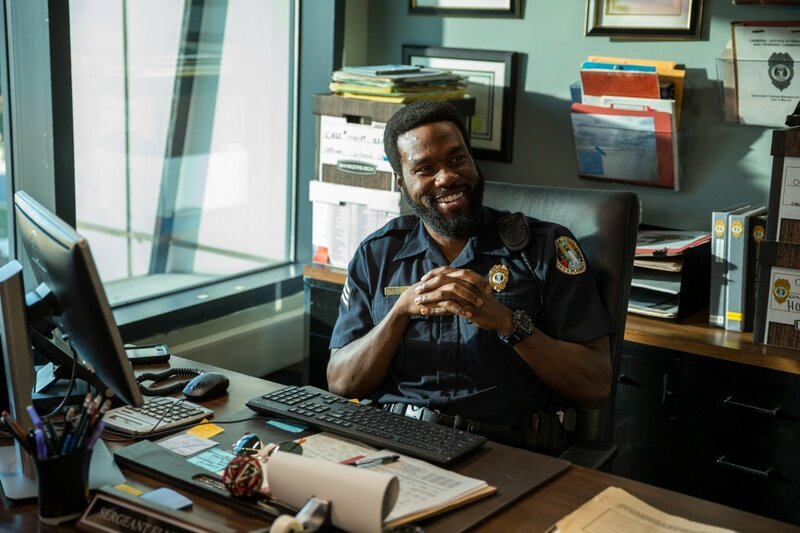 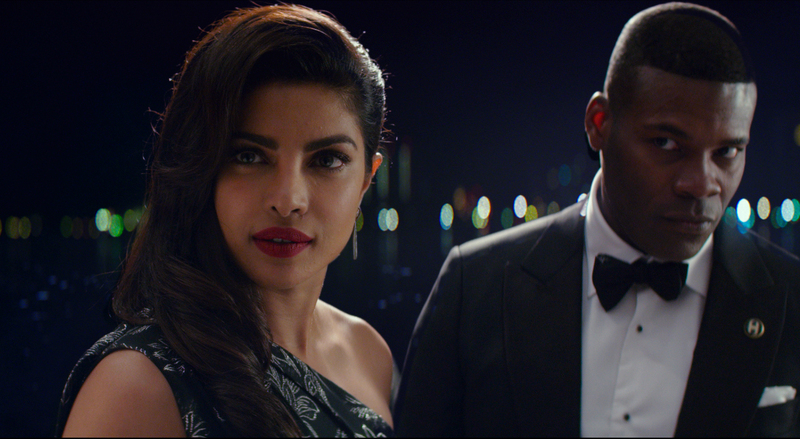 The film also stars Alexandra Daddario, Kelly Rohrbach, Ilfenesh Hadera, Jon Bass, Priyanka Chopra, Rob Huebel, Amin Joseph, Hannibal Buress and Yahya Abdul-Mateen II. 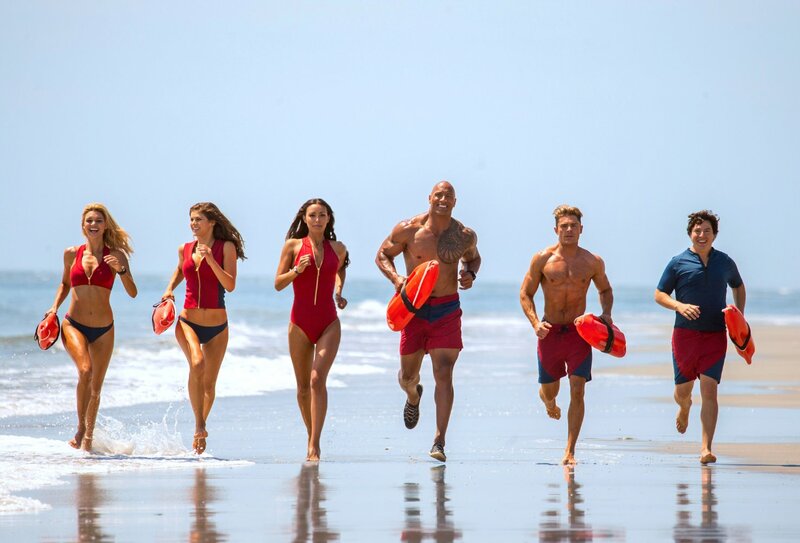 Veteran "Baywatch" series stars David Hasselhoff and Pamela Anderson make cameos in the film as The Mentor and Casey Jean Parker, the mother of C.J. 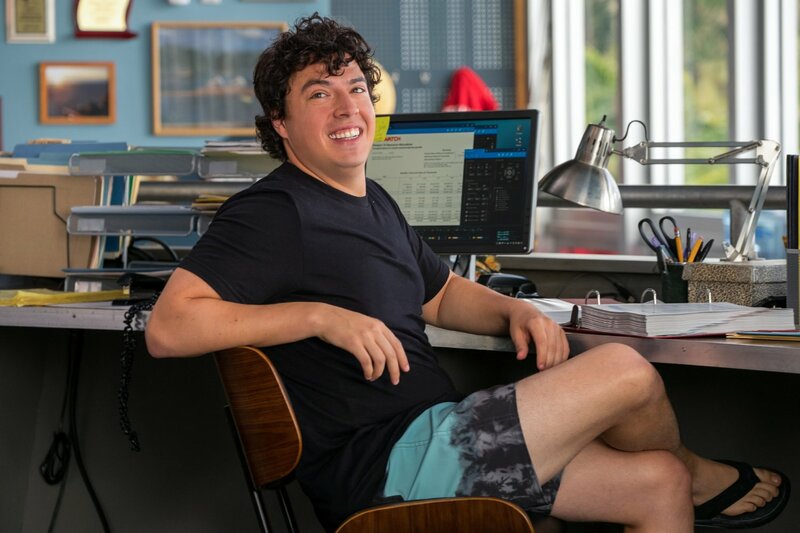 Parker (Rohrbach). 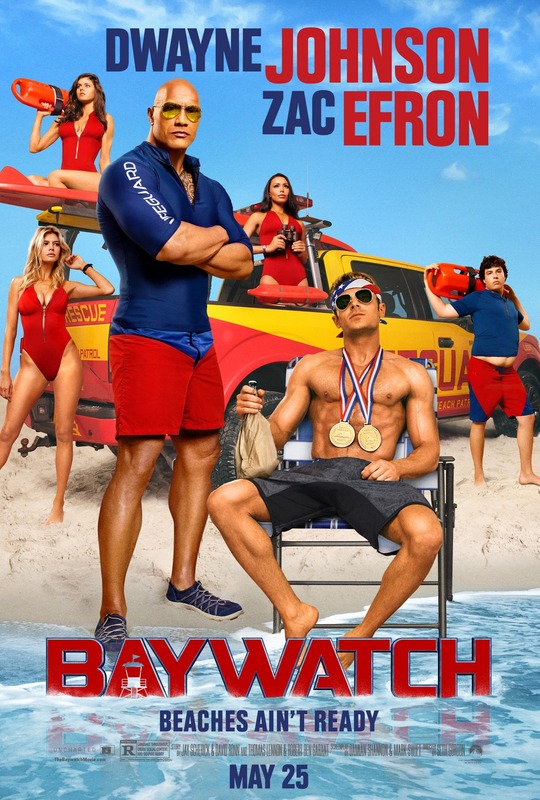 "Baywatch" opened in theaters on May 26th, 2017 and received generally negative reviews from critics. 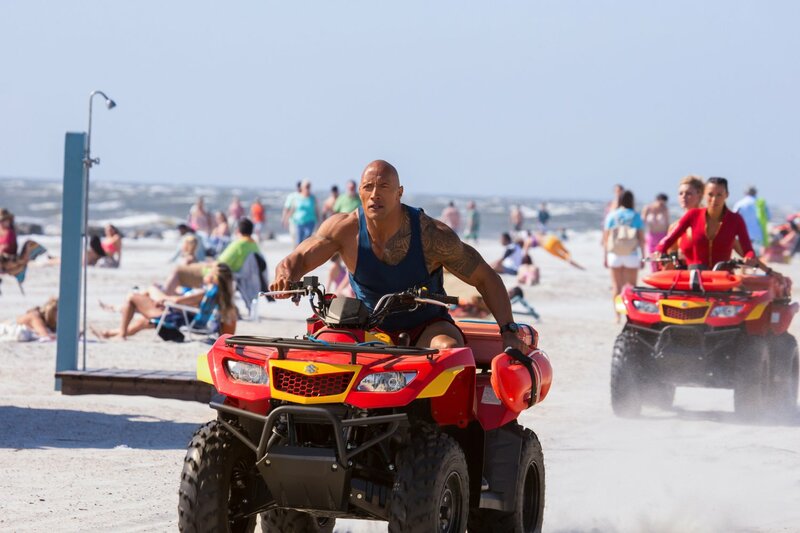 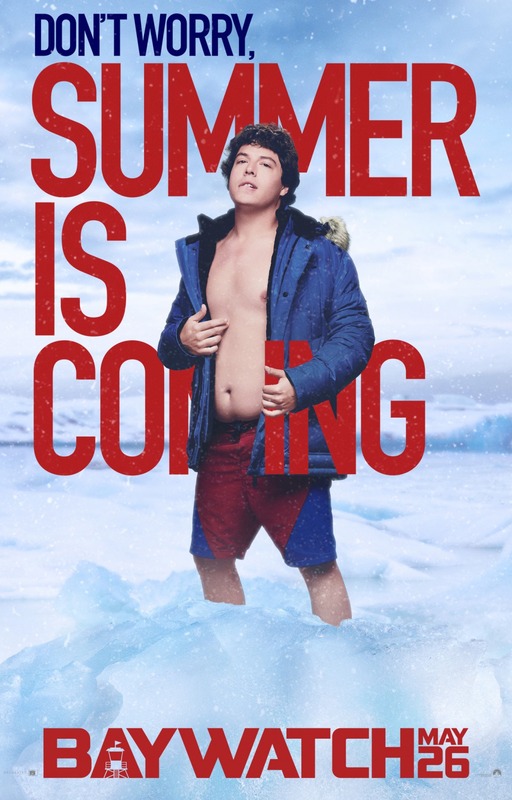 The film is expected to gross around $40 million over the weekend, while studio projections estimate a more modest $30 million over the five day weekend. 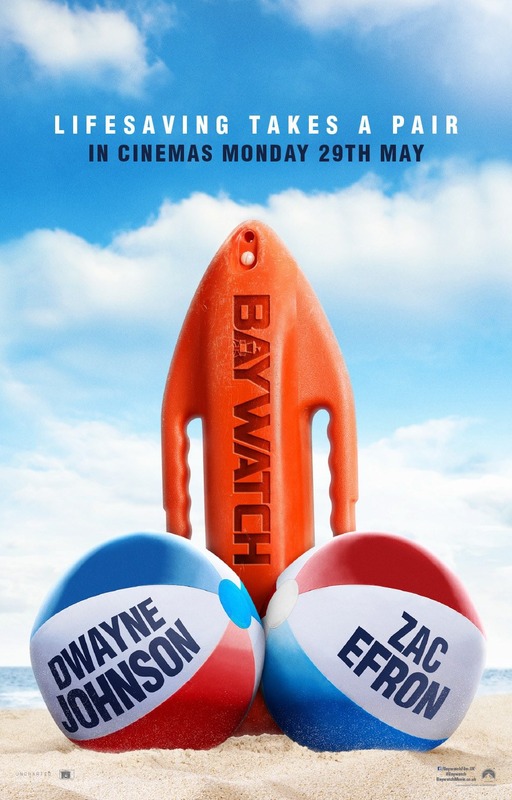 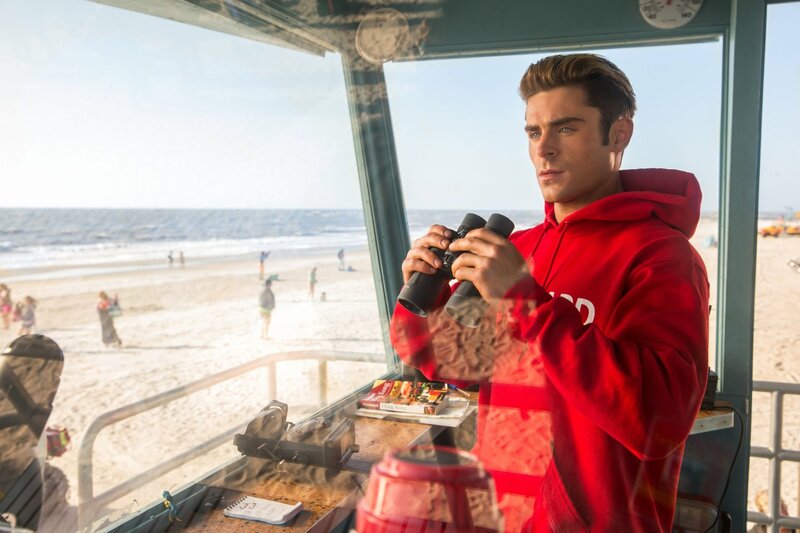 "BAYWATCH follows devoted lifeguard Mitch Buchannon (Johnson) as he butts heads with a brash new recruit (Efron). 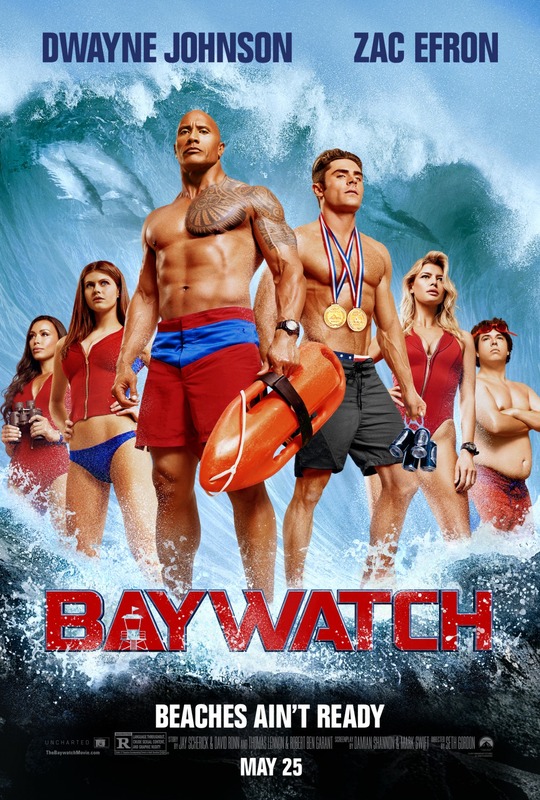 Together, they uncover a local criminal plot that threatens the future of the Bay."